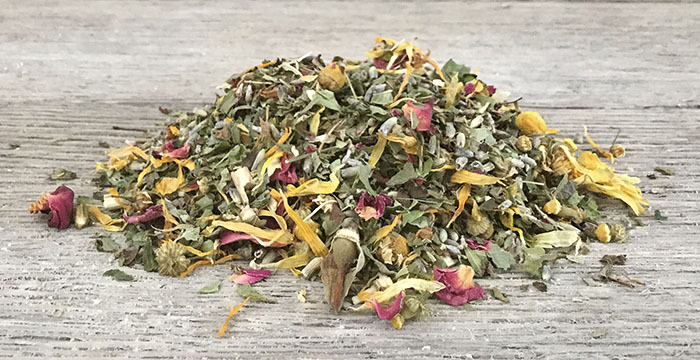 NATURAL PREVENTATIVE CARE – The herbs in this mix have been selected for their known beneficial attributes and natural preventative properties. 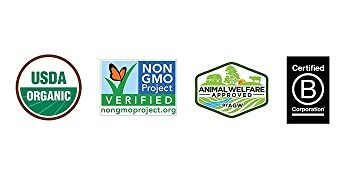 USDA CERTIFIED ORGANIC AND NON-GMO PROJECT VERIFIED – Choosing products that are Certified Organic and Non-GMO Project Verified is the best way to ensure you are getting the safest, healthiest, and highest-quality food for your animals and family. 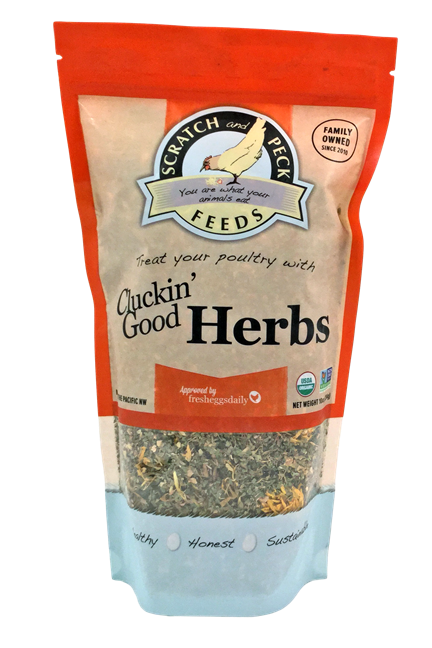 Cluckin’ Good Herbs are used to flavor and spice up Scratch and Peck poultry feeds for birds of all ages. 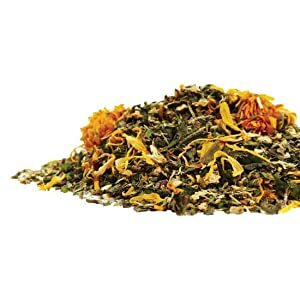 These delicious, organic herbs support digestive and circulatory health as well as control manure odor. Our herb mix is also a laying stimulant, has antibiotic properties, will deepen egg yolk color and improve respiratory health. 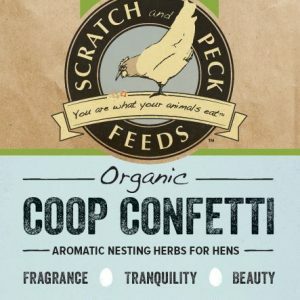 Certified Organic and Non-GMO Project Verified. Always offer clean fresh water, age appropriate grit and oyster shell for laying hens. We believe in improving the entire food chain by eliminating harmful toxins and genetically engineered organisms that rely on chemical inputs and degrade the environment. 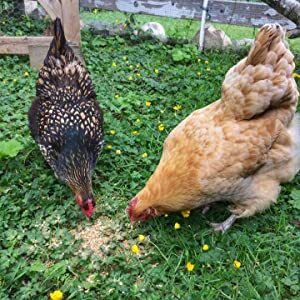 We manufacture Certified Organic chicken feed (also good for ducks), turkey feed, pig feed, goat feed, and more! All of our feeds are soy free and canola free, while our Naturally Free line of products are also corn free. Our feeds are completely raw with our limited processing technique. We source grains organically grown and we mill to order in the Pacific Northwest. 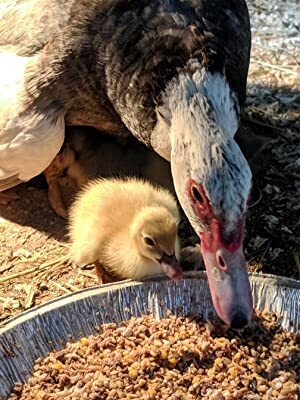 We envision a world where organic and whole foods are found on every table, organic agriculture is dominant, animals are humanely raised, and people understand that you are what your animals eat. 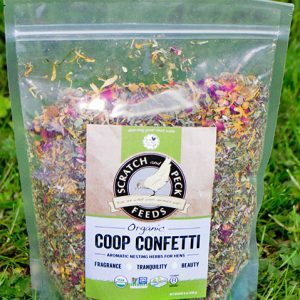 Every decision made at Scratch and Peck Feeds is with the intent of making life better for the planet and all living creatures. 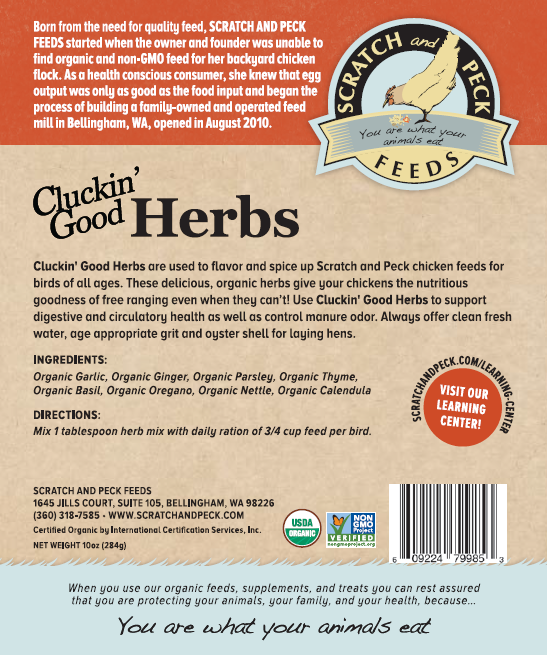 By 2013, we were the first animal feed manufacturer to be both Certified Organic and Non-GMO Project Verified. To make change, we need to lead by example.